SilverTowne opened its modest doors in 1949, as a small coin shop owned and managed by the husband and wife team of Leon and Ruhama Hendrickson. From its humble beginnings as a small shop, over the years they have developed into a multimillion dollar operation selling and minting their own products, as well as trading those from around the world. If you want to purchase your precious metals from a dealer with a rich and colorful history then you can’t go wrong with SilverTowne. 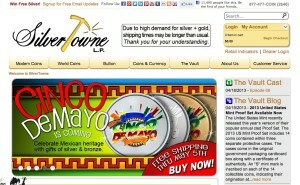 SilverTowne produces its own silver bullion which is available to buy through its website and in its showrooms in Indiana. The company has a number of silver bars on offer ranging in size from 1 oz. up to 100 oz. The bars have a fineness of .999 making them essentially pure silver. The bars carry the SilverTowne trademark and are a great way to invest in silver as they can be easily stacked for efficient use of any storage facilities. They also have a range of silver bullion medallions which are the same category of bullion as silver rounds that you will see listed elsewhere. They have a great selection of designs, and with them all being made from .999 fine silver, they make a great investment. Due to the many designs on offer, a SilverTowne round makes a great present for a family member or loved one and with many of them on sale for under $40, they are certainly very affordable. When it comes to silver coins, SilverTowne stock the American Silver Eagles and the Canadian Maple Leaf coins which are two of the most popular items in the marketplace. They are both .999 silver and weight 1 oz., with both being legal tender in their respective countries. If you would like to find out exactly how much gold or silver is actually in the bullion items in your collection, you could try the SilverTowne assaying service. They perform the inspection at their own facility in Indiana, rather than send it out to a third party, as is the case with some other services. 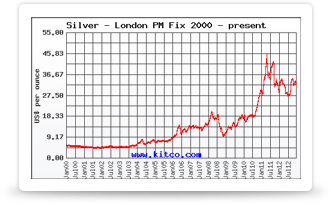 The current price for an assay of silver or gold is listed as $80. They will also offer to buy any items you send to them, provided they are of a certain level of purity. SilverTowne use the fire assay method to verify the purity of the materials sent to them. This involves the goods being melted down and then set as a bar, before they make the checks, so bear that in mind before deciding to have any items inspected. They do not assay every item so be sure to check the list of accepted items on their website. As well as telling you the silver or gold content of your materials, SilverTowne will also grade your coins. This will inform you of the condition of your coins, making it easier for you to value them or sell them on. They work with all the major coin grading services including NGC, PCGS, NCS and PMG.